In 1980 Ortho department was formed by Dr. Elmo Johnson and his team. After 1984 Dr. Kuttalingam has taken over and then by Dr. Srinivasan and Dr. Ilanchezian. Presently the department is headed by Dr. Saravanan and assisted by Dr. Jose. Arthroscopic knee surgeries were started 10 years ago by Dr. David Rajan and being continued till date. Apart from other hot orthopedics, Total Hip Replacement & Total Knee Replacement and spinal surgeries are regularly done. Department of Orthopaedics and Traumatology has grown significantly since 1985 with the addition of a full time orthopaedic surgeon and its incorporation into the trauma team. 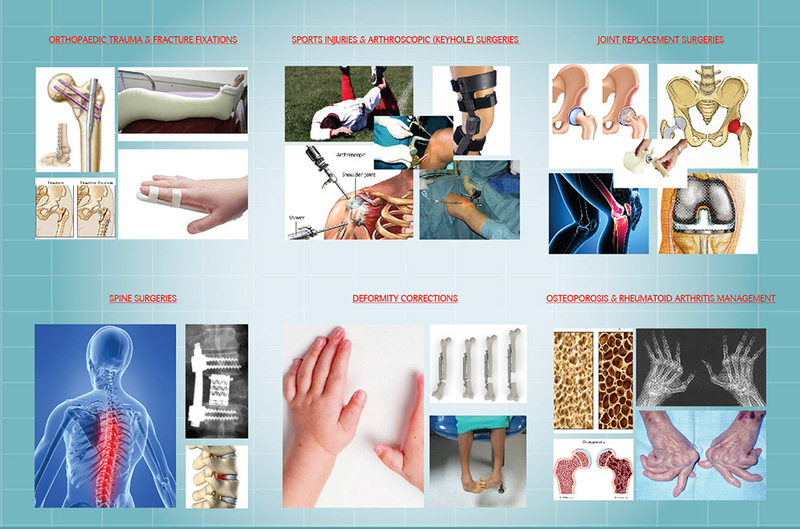 State of art Operation Theatres for trauma, arthroscopy, spine and replacement surgeries.